The Archbishop of Armagh and Primate of All Ireland stressed this in his homily during the opening Mass of the 26th General Assembly of the International Federation of Catholic Universities, which was celebrated in the College Chapel of Saint Patrick’s College in Maynooth. According to its website, the International Federation of Catholic Universities (IFCU), which collaborates actively with the Vatican’s Congregation for Catholic Education, began as an initiative of the Università Cattolica Del Sacro Cuore in Milan, Italy, and of the Katholieke Universiteit Nijmegen in Nijmegen, Netherlands, in 1924 to bring together the Catholic universities in a Federation to discuss specific issues of common concern. The following year, these endeavors were concretized during a meeting at the Institut Catholique de Paris where 14 universities from the various parts of the world were represented at a first General Assembly, and after the Second World War, the Fœderatio Universitatum Catholicarum took off. It was recognized by a Decree of the Holy See in 1948 and by Pope Pius XII in 1949. In 1965, it became the International Federation of Catholic Universities. In the homily, the Irish prelate recalled that the federation in these days will engage in a constructive critique of what it means to be a Catholic university, responding to the challenges of the twenty-first century, and that the conference begins with worship. The Archbishop acknowledged that it is a challenging time to be a leader in a Catholic university. This is indeed, he said, a time for believers to become engaged in the new evangelization, and active as missionaries for Christ. 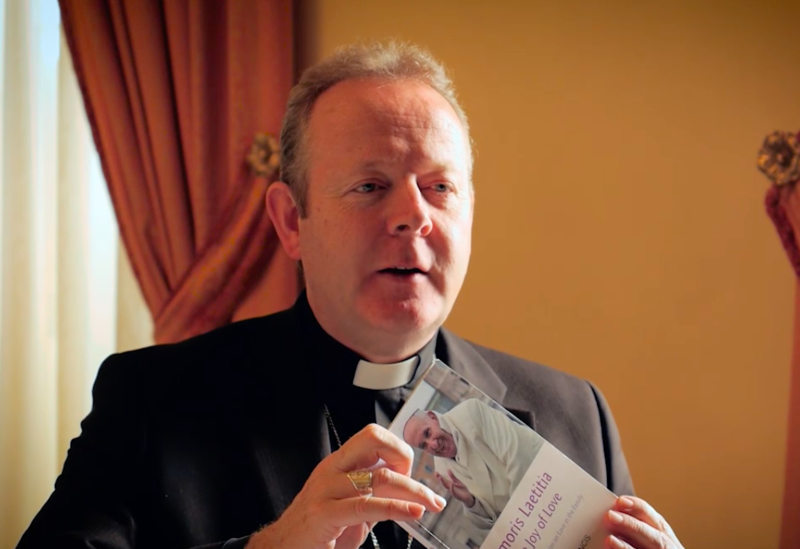 Here in Ireland, Archbishop Eamon Martin shared, there is a tremendous sense of anticipation as they count down the days to the World Meeting of Families and the visit of Pope Francis. He expressed his hope that all people of goodwill will feel inspired by the events happening all over Ireland to mark the World Meeting. We may not have vineyards in Ireland, but up in Armagh – the so-called ‘orchard county’- we have a long tradition of growing apples, going back to the time of St Malachy. Last winter I observed an elderly apple grower artfully pruning his trees with a long-handled saw – a technique he learned from his grandfather more than sixty years ago. Those who heard Jesus speak about the vine and the branches were familiar with vineyards and would have known exactly what he meant. I am the vine. You are the branches. If you remain part of me, if you belong to me, then you will bear fruit. If not, then you will have no life in you; you will wither and die. What a powerful way to describe the relationship God wants with the Church. It is an organic, biological-like unity: cut off from God we can do nothing; in communion with God, we can bear fruit in plenty. Rooted in baptism, nourished by the Eucharist, pruned by penance, watered and sustained by God’s word, we can produce a bountiful harvest. In this short gospel reading, Jesus keeps emphasising the importance of being in communion with him! 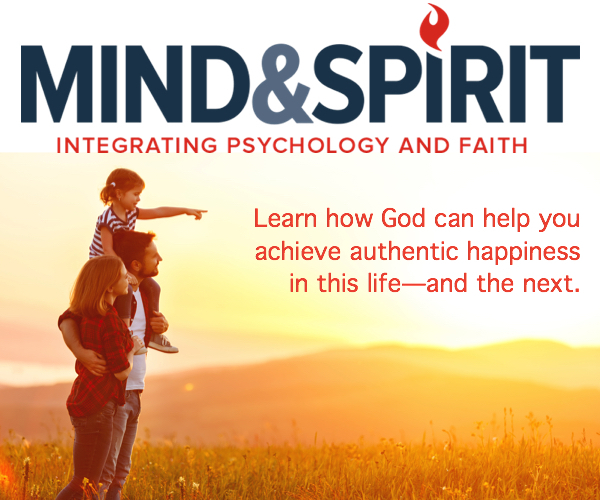 The Greek verb is “manein” – if you “abide in me”; If you “remain in me” – a kind of ‘symbiotic’ union. Rooted in the same life-giving soil, we draw life from Him, and in turn support one another against danger and attack – for just as the vine or the apple tree is attacked by pests, diseases, or buffeted by storms and other threats, so also we in the Church can only survive by standing together, united with our life-giver. My brothers and sisters in the International Federation of Catholic Universities, we gather here from all over the world to pray for the success of your Conference which is entitled: “Catholic universities, working in solidarity as responsible agents from the local to the global”. The theme of your Conference is in harmony with the message of today’s gospel. It reminds us not only about the richness of being together, of sharing and collaboration, but also about the vision and goal of such collective endeavour – which is to empower mission; to bear fruit in plenty; to spread the good news to the ends of the earth! Your federation thrives on the exchange of ideas and skills, on cooperation in academic research, and on shared reflection. During these days you will engage in a constructive critique of what it means to be a Catholic university, responding to the challenges of the twenty-first century. You begin your Conference with worship. I encourage you not to be afraid to celebrate and openly proclaim the ethos of your universities – connected as they are to Christ and to the Church’s mission – to bear much fruit! It is a great honour for me, as Chancellor of St Patrick’s College, Maynooth to join in welcoming you to Ireland, and to this unique campus which encompasses a thriving secular university, an historic Pontifical university and the national seminary for the formation of our priests. At this ‘crossroads’, here at the heart of Ireland, young adults of all faiths and none, meet and interact, sharing their ideas and hopes for the present and future, engaging with a rapidly evolving culture and learning to discern amidst the often contradictory messages which push, and pull, them – this way and that. This is a challenging time to be a leader in a Catholic university. The world yearns for the Good News – today, more than ever – but Gospel values are often threatened by a popular relativism which questions any appeal to objective truths or stable moral reference points and which even relegates the fundamental right to life itself beneath the right to individual choice. This is indeed a time for believers to become engaged in the new evangelisation, and active as missionaries for Christ. Here in Ireland there is a tremendous sense of anticipation as we count down the days to the World Meeting of Families and the visit of Pope Francis. The theme of the World Meeting is: the Gospel of the Family – Joy for the World! It is a message not only for ‘faith-full’ Catholic families and those who are broadly supportive of Church, but it is Good News also for those who have become indifferent to faith, and even those who feel excluded or alienated from Church, rejecting or actively resisting all that we stand for. We hope that all people of goodwill will feel inspired by the events happening all over Ireland to mark the World Meeting. In the twenty first century, the ‘vineyard of the Lord’ cannot remain walled off from the influences and challenges of a fast-paced, multimedia world. This is our time and our space for mission; it is also the context in which your deliberations as a federation of Catholic universities take place. Your challenge – your opportunity for mission – is to network together in solidarity in order to respond to the questions and needs of today’s world – from the local to the global. It is your mandate and your privilege to nourish and equip those who bring the message of Christ into the public sphere. When Pope Saint John Paul II came to Ireland almost forty years ago, he borrowed a theme from Lumen Gentium to remind us that: ‘The great forces which shape the world – politics, the mass media, science, technology, culture, education, industry and work – are precisely the areas where lay people are especially competent to exercise their mission. If these forces are guided by people who are true disciples of Christ, and who are, at the same time, fully competent in the relevant secular knowledge and skill, then indeed will the world be transformed from within by Christ’s redeeming power’ (Limerick, 1 October 1979). Your task, as Catholic Universities, includes offering spaces for dialogue and encounter between faith and culture where your students can learn and test ideas, while being nourished by the very best of Christian scholarship. Not far from here,160 years ago, Blessed John Henry Newman founded his Catholic University. For Newman, a Catholic university was a space to cultivate the mind and to foster an intellect that is comprehensive and versatile enough to be able to instinctively evaluate ‘things as they pass before us’. A liberal education for Newman, was about forming the intellect to have a ‘connected view or grasp of things’ rather than simply to be dazzled by all that is new and different. Your work, my brothers and sisters, is therefore vital for what Pope Francis calls, “a Church that goes forth”! In his foreword to Veritatis Gaudium, he reflects on these critical times for the world, marked as they are by anthropological and environmental crisis. The joy of truth, he reminds us, is not an abstract idea, but is Jesus Himself. The human heart is indeed restless until it encounters and dwells within God’s Light, and shares that Light with all people (see VG 1). and then you will be my disciples”. The opening Mass was celebrated in the College Chapel of Saint Patrick’s College, Maynooth.